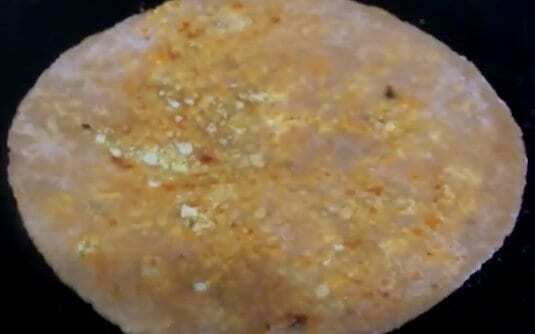 Gobi Paratha Recipe with Cheese, Step by step Pictures and Video. Any stuffed paratha with Cheese is good for kids. They say no to Paratha. It’s a good idea adding cheese in all the veg paratha,so that kids love to have. It enhances the taste. 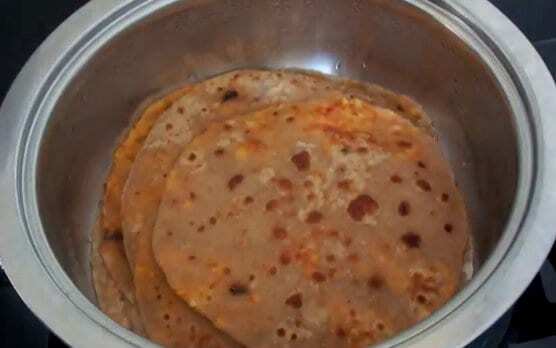 Paneer Paratha Recipe recently i have posted in Prema’s Culinary. 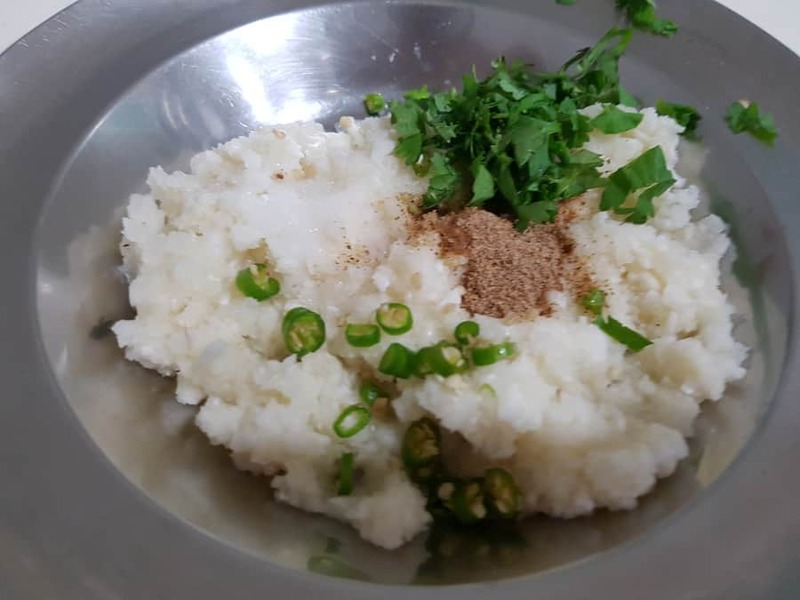 Kids would love to have it again and again that’s why i planed to post Gobi Paratha Recipe here. Gobi Manchurian, Gobi fry, Gobi Masala are the few Gobi recipes that i have featured before. Cauliflower is my fav veggie. I love it any form. I thought if i make gobi paratha kids will have it or not. Suddenly got idea of stuffing cheese along with cauliflower mixture. Kids enjoyed having it. Parathas and rotis are almost every ones favourite. There so many types of parathas, Aloo Paratha, Gobi Paratha, Cheese Paratha, Moli Paratha and all. Posting one by one now. Methi Paratha also i have posted long back. Stuffed paratha like soy keema paratha, vegetarian version of keema paratha. 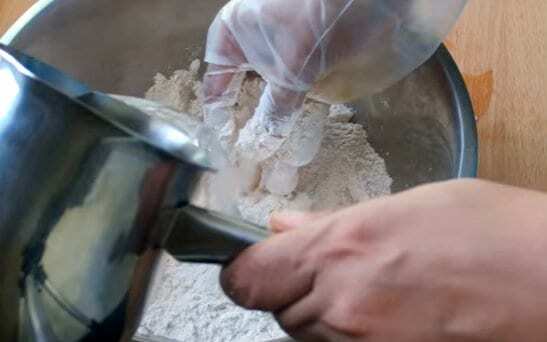 Let us make the Dough for Gobi Paratha. Take 2 cups of Whole Wheat flour and 1 tsp salt mix well. Pour 1 cup water little by little and knead the dough to a smooth soft dough.cover and allow the dough rest for 10-20 mins. Roll them into lemon sized balls,keep aside. 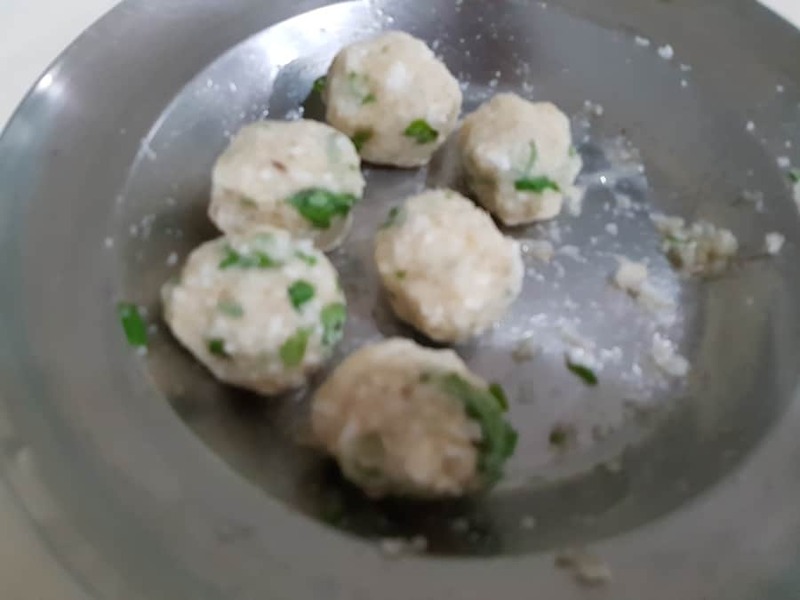 Gobi Stuffing is ready now, let us make paratha out of the gobi stuffing. Let us stuff the paratha with Gobi masala and cheese stuffing. Now take the dough, dust some flour and divide them into equal sized balls.with a rolling pin, roll the dough to circles and then flatten it. Place the stuffing on one of the rolled dough cover it.Sprinkle some flour and roll the stuffed paratha with the rolling pin.Flatten it like chapati. Stuffed Gobi Paratha is ready for cook now. Heat the Tawa, cook the paratha by applying a spoon of ghee. Flip the other side and cook it. Turn over and flip, till it cook evenly. Cheese Gobi Paratha Paratha is ready to serve. Keep in a hot box, once made and serve it hot. 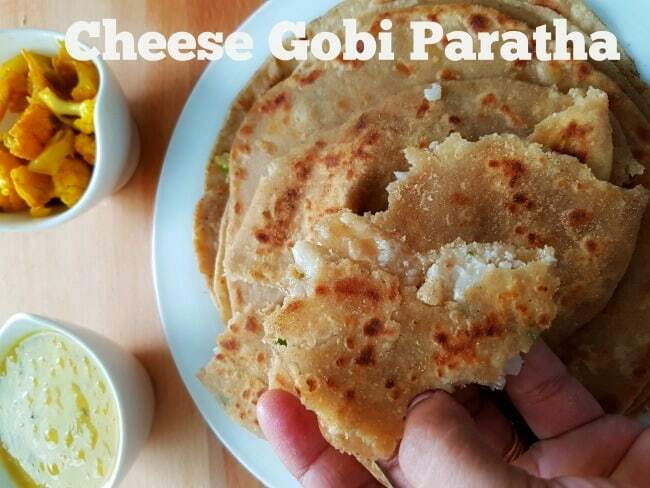 Gobi Paratha Recipe, Grated Gobi is mixed with Indian spices and then stuffed in the paratha. Very soft and delicious paratha Recipe. 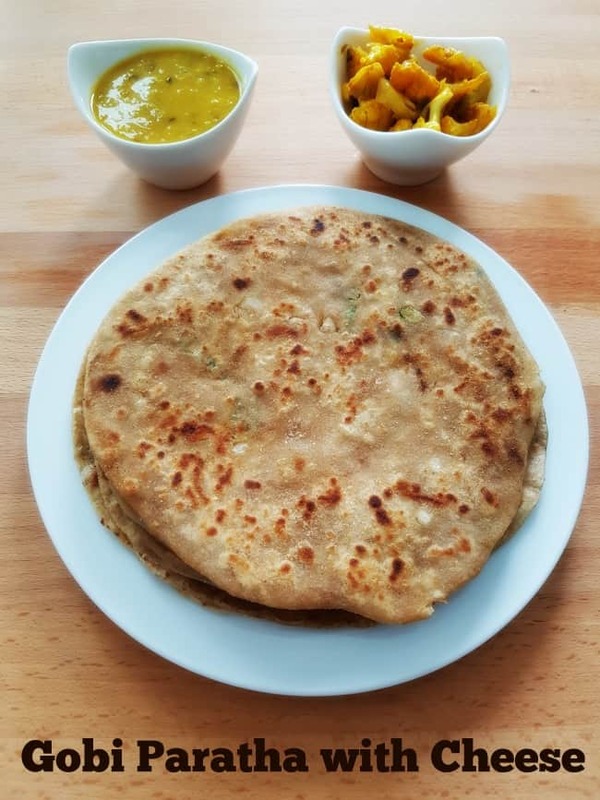 Gobi stuffed paratha recipe. Take 2 cups of Whole Wheat flour and 1 tsp salt of mix well. Pour 1 cup water little by little and knead the dough to a smooth soft dough. cover and allow the dough rest for 10-20 mins. green chilly and salt, mix well. Roll them into lemon sized balls,keep aside. Now take the dough, dust some flour and divide them into equal sized balls. 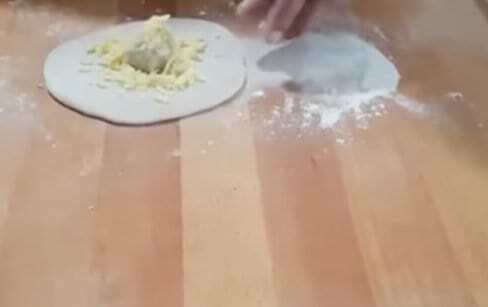 with a rolling pin, roll the dough to circles and then flatten it. Place the gobi stuffing and cheese on one of the rolled dough cover it. Sprinkel some flour and roll the stuffed paratha with the rolling pin. Heat the Tawa, cook the paratha by applying a spoon of ghee. Flip the other side and cook it. Turn over and flip, till it cook evenly. gobi Stuffed Paratha is ready to serve.